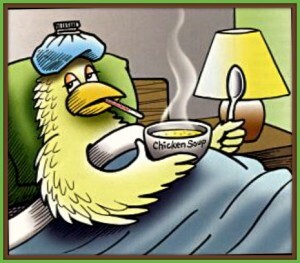 Birdeye, Arkansas – With the Avian Flu starting to spread its nasty wings, it might be helpful for us all to know the signs of a Sick Bird. 1. Flies into walls and windows at full speed. 4. Sits in bird bath eating off-brand chicken soup. 5. Calls in sick multiple times a day. 6. Uses too much beak lotion. 7. Unusual bleeding from the eyes. 8. Tries to mate with its own reflection. 10. Sings “Smoke On The Water” instead of its normal birdsong. 11. Nest is made entirely of Doritos. 12. Incessantly posts bird flu jokes on its Twitter account. 13. Repeatedly steals the Jehovah’s Witness propaganda from your doorknob. 14. Flies into a pharmacy looking for XanaX. 15. It flu North, when all its friends flew South. If you notice a sickly bird manifesting any of these signs, first try not to panic, then immediately call your local Avian Flu Response Center Association and mention the Promo Code KTG723JWSKFYS3V2M.